Wonderful...affecting. 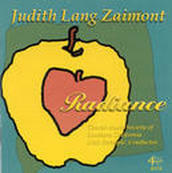 Zaimont strikes her own epic note --the choral writing throughout cannily mixes declamatory, homophonic passages with simple, clear contrapuntal ones. 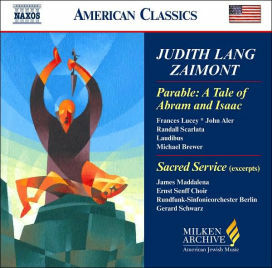 A superb entry in Naxos's American Jewish Music series – one of the glories of this series. Beautifully lyrical …. Distinctive and persuasive. Much fine music here. The choral writing is sophisticated and quite demanding, though complexity is never allowed to obscure the texts…. This is one of the most consistently rewarding of the fascinating Milken Archive series. "Thou Shalt Love the Lord"